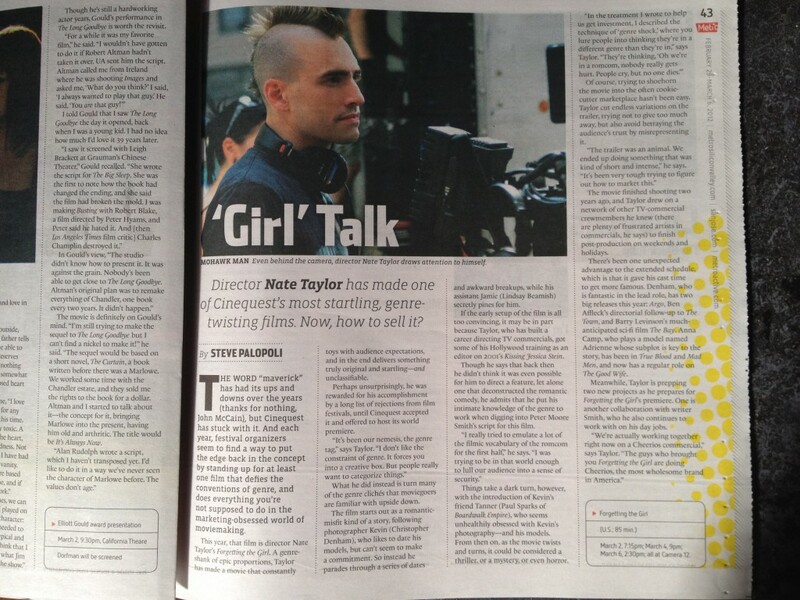 A full page interview with Forgetting the Girl director Nate Taylor appeared in today’s Metro Silicon Valley. It describes the film as a “genre-shank of epic proportions” which “in the end delivers something truly original and startling“. The first review of Forgetting the Girl is in and it’s great. Richard von Busark of Metro Papers describes the film as “twisted and brilliant“. We couldn’t agree more.